Patients' severe functional limitations, disability, increasing dependence on others, and the fear of becoming a burden are significant risk factors for elder suicide. Physicians must make efforts to ascertain their older patients' mental status and potential suicide ideation. Mr. A, aged 86, shot himself to death shortly after his wife died and he was diagnosed with cancer. He had seen a doctor a few days before, but the physician did not recognize the depth of his grief, loneliness, and hopelessness. Mr. A didn't mention he was considering suicide, and his physician did not ask questions or use a screening tool that might have raised alarm. The physician also had no knowledge that Mr. A owned a gun, the most common means of suicide for men. Could the physician have helped prevent Mr. A's death if he had known about his psychological suffering, isolation, and gun ownership? That is not certain; but it is possible. Ever since the realization that most older adults who complete suicide have seen a physician within the prior 30 days, primary care has been regarded as a critical point of preventive intervention.1 It is believed that physicians can identify suicide risk and become proactive in preventing suicide. This is far easier said than done. Most people who kill themselves do not disclose their intentions; of the nearly 25% who do disclose, most tell a family member or friend but not a medical professional,2 even when directly asked.3 In addition, a significant proportion of suicides are impulsive,4 without a prior intention to reveal. advocating for changes in public policy. history of childhood trauma or being bullied. There are warning signs12 that call for immediate intervention. Threatening self-harm or suicide is especially ominous if a patient has a plan and other existing risk factors. It is a myth that people who state an intention to hurt or kill themselves do not follow through; any threat must be taken seriously. Demoralizing health conditions: A major contribution physicians can make to suicide prevention is effective treatment of health conditions that result in demoralization.16 Particularly important are conditions that cause severe functional limitations and/or are terminal. Disability and growing dependency frequently breed hopelessness and fear of becoming a useless burden, which are significant risk factors for suicide. Providing effective treatment for such physical health conditions is a preventive intervention. However, many older patients fear death less than disability. It may be more important to address disability than acute disease. Treating pain: Effective pain management is critical for many at-risk patients. But drugs for pain, particularly opiates and benzodiazepines, carry significant risks of addiction, accidental overdoses, and falls—the major cause of premature disability and death in old age. And they can be used for suicide. 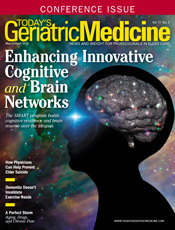 When possible, physicians should use alternatives to depressant and addictive drugs, including nonpharmacological interventions such as biofeedback, physical therapy, routine exercise, and pain-focused cognitive behavioral therapy, as well as relatively safe medications such as Cymbalta, Lyrica, or prescription NSAIDs. Mood and anxiety disorders also can exacerbate pain and increase suicide risk. Treating them is an important part of addressing pain. Sometimes alternative treatments of pain are ineffective, and addictive painkillers may be required. It is important to try to prescribe quantities too small to be used for suicide. Screening: Identifying major depression or substance abuse is exceedingly difficult. Even primary care physicians who pay attention to their patients' moods and look for signs of substance abuse will probably miss people at risk. For example, in older adults, depression can present as cognitive impairment that may be mistaken for an early sign of dementia. Useful screens include the Patient Health Questionnaire (PHQ-9) and General Anxiety Disorder-7 (GAD-7) among others, which can be completed by patients, their aides, or relatives prior to seeing the primary care provider. Screening may result in either false positives or false negatives, so it must be supplemented by face-to-face interviews with physicians or other professional staff. In addition to exploring symptoms of major depression to accurately diagnose, primary care professionals should ask about active suicide intentions and plans as well as access to lethal means. Treatment plans should include pharmacological and nonpharmacological therapy, and a safety plan for patients with active suicidal ideation. Safety plans19 are developed with patients and/or families. The plan focuses on what patients should do if suicidal thoughts become impulses to act. This should include how to contact the physician, an emergency department, and supportive friends or family. Plans should include removal of guns from a patient's home during depressive episodes or safe storage, possibly including provision of gun locks.20 The plan should also address safe storage of potentially lethal medications and poisonous substances. It can additionally include identification of experiences that reduce depression, such as spending time with people and engaging in satisfying activities. Some patients will be able to identify specific experiences that reduce the wish to die, such as listening to favorite music. Behavioral treatment: Treatment for depression, substance abuse, or other behavioral disorders can be effective and reduce related suicide risks. Sometimes primary care physicians can provide effective treatment themselves, but often it is preferable to refer patients to mental health professionals. online information for physicians with diagnostic or treatment questions such as the Johns Hopkins Psychiatry Guide, which is written in brief bullet point format for use by general practitioners. It is available at www.hopkinsguides.com or in mobile app stores. In some treatment-sparse areas, there are geriatric mental health professionals who will not accept insurance (particularly Medicare) but will provide treatment for people who pay. Ask patients whether they are able to do that. Upstream factors: In addition to treatment, it can be useful for physicians to talk with their patients about "upstream" contributors to suicide risk including social isolation, family estrangement, inactivity and boredom, bereavement, and/or lack of a sense of self-worth, meaning, or purpose. Some suicide prevention activities diverge from standard medical practice and are difficult for physicians to include in their schedules, particularly in solo or small group practices. The emergence of ever larger medical groups—especially those using the model of "medical homes"—should make it possible to address a broader range of risks, particularly by adding staff members with behavioral health expertise. Free informational materials are available from the Substance Abuse and Mental Health Services Administration at www.store.samhsa.gov. Staff training: Many primary care providers are uncomfortable dealing with suicide risk. Some shrink from any conversation about personal or emotional matters. Others balk when suicidal ideation emerges. Staff training is critical for a practice to deal effectively with suicide risk. There are several trainings available including Applied Suicide Intervention Skills Training and safeTALK. Learn more at www.livingworks.net/programs. Integrated treatment: Severe chronic co-occurring physical and behavioral health conditions require integrated treatment, which is critical to effective management of demoralizing health conditions but is rarely available. Collaborative care management: Such management increases the effectiveness of treatment of depression, substance abuse, and other psychiatric disorders. There are several evidence-based models, including Improving Mood—Promoting Access to Collaborative Treatment, or IMPACT,23,24 developed specifically for older adults. The essence of collaborative care management is the realization that patients often fail to follow through on treatment or referrals. Many need support to continue psychotherapy, take medication, or seek a change if there are medication side effects or medication is ineffective. Many patients benefit from problem-solving therapy, which is often provided as part of collaborative care management. A nurse, social worker, or mental health counselor with appropriate training can provide this form of care management. Screening, Brief Intervention, and Referral to Treatment (SBIRT):25 SBIRT is an evidence-based model developed to help people with substance abuse problems when they visit an emergency department, urgent care, or primary care setting. The goal is to engage with patients using motivational interviewing techniques to encourage them to go for further treatment. Telepsychiatry: In some areas, mental health professionals—especially psychiatrists—are in very short supply. Medical practices can use telepsychiatry in two ways: physicians can consult with mental health experts via telephone, and patients can have face-to-face interactions via videoconference. Such practices would include patient/family education, onsite activities such as exercise, and life planning. They would build connections with the local aging services system to help patients find people and activities that would counteract social isolation—a major suicide risk. Some communities have started public health initiatives to reduce the incidence and number of suicides. One example is the Zero Suicide initiative. To learn more about it, refer to the following website: https://zerosuicide.sprc.org. Primary care physicians can play valuable roles in public health initiatives by gearing their practices to suicide prevention and by participating in the community groups that are necessary to provide leadership to broad efforts to reach, engage, and help people at risk of suicide. public education to overcome stigma and to provide information about the value and availability of mental health services for older adults. Bringing about such policy changes will take aggressive advocacy. Organizations that represent physicians can make a great contribution to change. We hope physicians will urge their representatives to do it. — Michael B. Friedman, MSW, is an adjunct associate professor at Columbia University School of Social Work and chair of the Geriatric Mental Health Alliance of New York. — Paul S. Nestadt, MD, is the supervising psychiatrist for the Johns Hopkins Anxiety Disorders Clinic and a psychiatric epidemiology fellow at the Johns Hopkins Bloomberg School of Public Health in Baltimore. — Lisa Furst, LMSW, MPH, is assistant vice president of the Mental Health Association of New York City (MHA-NYC) and director of the Geriatric Mental Health Alliance of New York. — Kimberly A. Williams, MSW, is the president/CEO of MHA-NYC and cofounder of the Geriatric Mental Health Alliance of New York. 1. Conwell Y, Lyness JM, Duberstein P, et al. Completed suicide among older patients in primary care practices: a controlled study. J Am Geriatr Soc. 2000;48(1):23-29. 2. Choi NG, DiNitto DM, Marti CN, Kaplan MS. Older suicide decedents: intent disclosure, mental and physical health, and suicide means. Am J Prev Med. 2017;53(6):772-780. 3. Berman AL. Risk factors proximate to suicide and suicide risk assessment in the context of denied suicide ideation [published online April 21, 2017]. Suicide Life Threat Behav. doi: 10.1111/sltb.12351. 4. Deisenhammer EA, Ing CM, Strauss R, Kemmler G, Hinterhuber H, Weiss EM. The duration of the suicidal process: how much time is left for intervention between consideration and accomplishment of a suicide attempt? J Clin Psychiatry. 2009;70(1):19-24. 5. Kirwin P, Conroy M, Lyketsos C, et al. A call to restructure psychiatry general and subspecialty training. Acad Psychiatry. 2016;40(1):145-148. 6. WISQARS Fatal Injury Data Visualization. Centers for Disease Control and Prevention website. Web-based Injury Statistics Query and Reporting System (WISQARS). https://wisqars-viz.cdc.gov/. Accessed December 2017. 7. Choi NG, DiNitto DM, Marti CN, Kaplan MS, Conwell Y. Suicide means among decedents aged 50+ years, 2005–2014: trends and associations with sociodemographic and precipitating factors. Am J Geriatr Psychiatry. 2017;25(12):1404-1414. 9. CDC WONDER. Centers for Disease Control and Prevention website. http://wonder.cdc.gov/ucd-icd10.html. Accessed November 18, 2017. 10. Nestadt PS, Triplett P, Fowler DR, Mojtabai R. Urban-rural differences in suicide in the state of Maryland: the role of firearms. Am J Public Health. 2017;107(10):1548-1553. 11. Conwell Y. Suicide later in life: challenges and priorities for prevention. Am J Prev Med. 2014;47(3 Suppl 2):S244-S250. 12. Bono V, Amendola CL. Primary care assessment of patients at risk for suicide. JAAPA. 2015;28(12):35-39. 13. Cavanagh JT, Carson AJ, Sharpe M, Lawrie SM. Psychological autopsy studies of suicide: a systematic review. Psychol Med. 2003;33(3):395-405. 14. Joiner T. Why People Die by Suicide. Cambridge, MA: Harvard University Press; 2005. 15. American Association of Suicidology. Depression and suicide risk. https://www.suicidology.org/portals/14/docs/resources/factsheets/2011/depressionsuicide2014.pdf. Published 2014. 17. US Preventive Services Task Force. Screening for suicide risk in adolescents, adults, and older adults in primary care: recommendation statement. Am Fam Physician. 2015;91(3):190F-190I. 18. Runeson B, Odeberg J, Pettersson A, Edbom T, Jildevik Adamsson I, Waern M. Instruments for the assessment of suicide risk: a systematic review evaluating the certainty of the evidence. PLoS One. 2017;12(7):e0180292. 20. US Government Accountability Office. Personal firearms: programs that promote safe storage and research on their effectiveness. https://www.gao.gov/assets/690/687239.pdf. Published September 2017. 21. What is telepsychiatry? American Psychiatric Association website. https://www.psychiatry.org/patients-families/what-is-telepsychiatry. Updated January 2017. 22. Shah A, Scogin F, Pierpaoli CM, Shah A. Older adults' attitudes toward depression screening in primary care settings and exploring a brief educational pamphlet. Int J Geriatr Psychiatry. 2018;33(1):e40-e48. 23. Unützer J, Katon W, Callahan CM, et al. Collaborative care management of late-life depression in the primary care setting: a randomized controlled trial. JAMA. 2002;288(22):2836-2845. 25. SAMHSA-HRSA Center for Integrated Health Solutions. SBIRT: Screening, Brief Intervention, and Referral to Treatment: opportunities for implementation and points for consideration. https://www.integration.samhsa.gov/SBIRT_Issue_Brief.pdf. Accessed December 1, 2017. 26. Friedman MB, Furst L, Williams K. Physicians promote successful aging. Today's Geriatr Med. 2015;8(1):20-23.